Create macros in any Office application is automating a command or set of commands that you have to do many times and which become a chore that requires time. 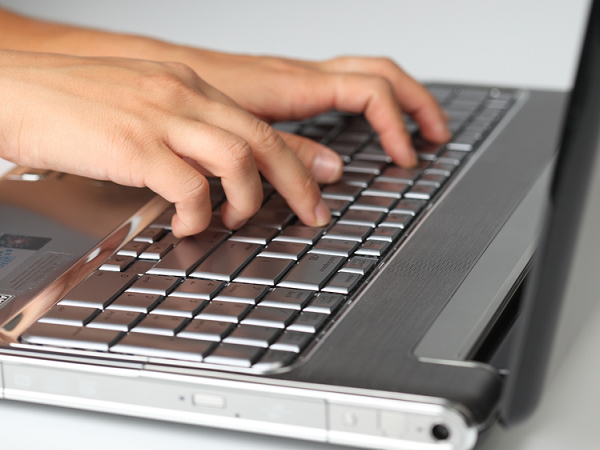 Macros save time and not give your work to become monotonous. When working with text, tables, or other objects Office often there are situations when it is necessary to do the same set of actions. It not only takes extra time but is very annoying. Fortunately, to solve this problem, there are macros. To create macros is suitable software environment is VBA, but not necessarily to be a programmer to learn Visual Basic for Application, to learn to write them. For this there are specially designed tools that are at your command to create VBA code, without requiring from you additional knowledge. However, to master this language is not so difficult. Macros are created in the applications burn. While a certain combination of keys assigned to the desired sequence of actions. Open the Office application. Select the slice you want to format. Select the menu item "tools - > Macro - > Start recording" (in Office 2007 – "View" -> "Macros" -> "Record macro"). In the window "Record macro" specify a name for the new macro, by default it is "Макрос1", but it is better to give it a name, especially if macros will be a few. Maximum size for a field name is 255 characters, not allowed characters, dots and spaces. Determine the choice of button or key combination for your macro will work in the future. Try to choose the most convenient option, especially if it is designed for frequent use. Select the appropriate option field "Assign macro": "click" or "keys". If you chose "button", a window opens "customize quick selection". If "keys" simply type on the keyboard combination. Review the "Current combination" to avoid repetition. Click "Assign". The macro created in Word and PowerPoint, will be valid for all documents in the future. To an Excel macro available to all documents, save it in a file personal.xls that runs automatically when you open the app. Run the command "Window" -> "Display" and select in the dialog the bottom of the file personal.xls. Enter a short description of the macro in the "Description" field. Click OK and you will return to your document, but now the mouse can see the record icon. Format selected text as a sequence of actions that you want to automate. Be very careful not to do unnecessary actions because the macro will record all of them, and it will affect the running time in the future. Run the command "Tools - > Macro - > Stop recording". You have created a VBA object, without writing a single line of code yourself. However, there is a need to make changes manually, log in to the object via the "Macros" command "Edit" or Alt+F8. Every day you are working in Microsoft Excel and perform the same actions? You can automate your routine work by writing a macro is a short program code. It will automatically play back your actions in Excel when clicking a button or opening a workbook. The advantage of macros – you do not need knowledge of programming language and disadvantage – you can not record all their actions (only mouse clicks and keystrokes), and code in some cases you need to edit manually. 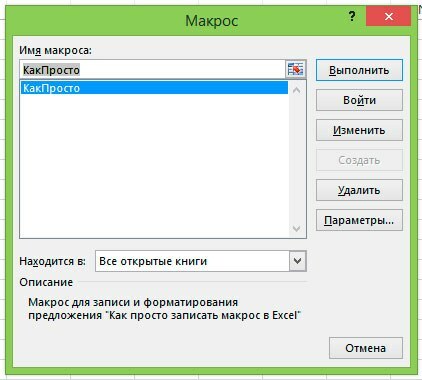 Start Excel, any version (2003, 2007, 2010 or 2013). The number and arrangement of tabs on the working tape in the latest versions starting with Excel 2007, about the same. On the View tab, find the menu item "Macros". Click on the arrow to reveal the drop down menu. Click on "Record macro." Open the macro recording window. Enter its name, for example, "Kakroo". In the "shortcut key" you can enter the key name, for example, Y. Then the recorded macro will run when press Ctrl and Y. You can save the macro in this workbook. 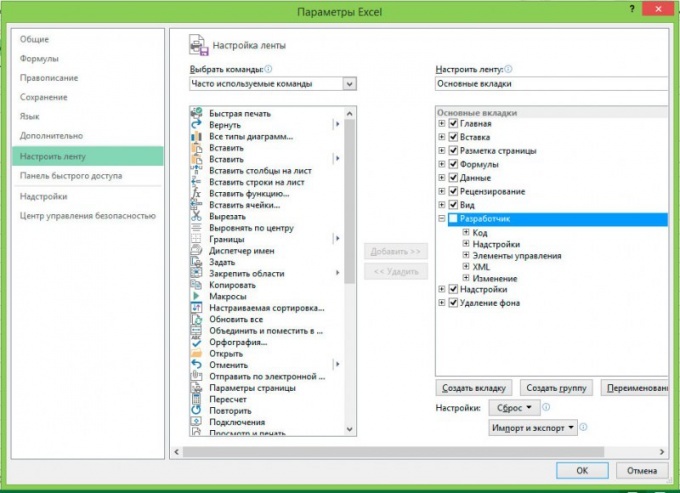 But then you will not be able to run it in other files, if the file cannot be opened in Excel. When recording in the personal macro workbook you will be able to use the macro in any workbook on your computer. Enter a description for the macro, not to forget that he can do. After clicking "OK" will start recording. 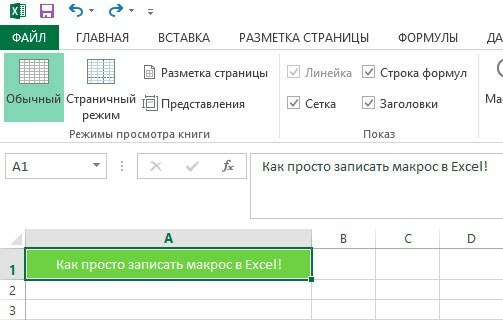 Enter in cell A1 the text "How easy it is to record a macro in Excel!". Format it to your liking. To stop recording click again on the View tab, open the dropdown menu of Macros and click "Stop recording". Remove the cell with the established inscription, go to the menu "Macros" or use the shortcut Alt + F8. Select the macro "Kakroo" and click "Run." 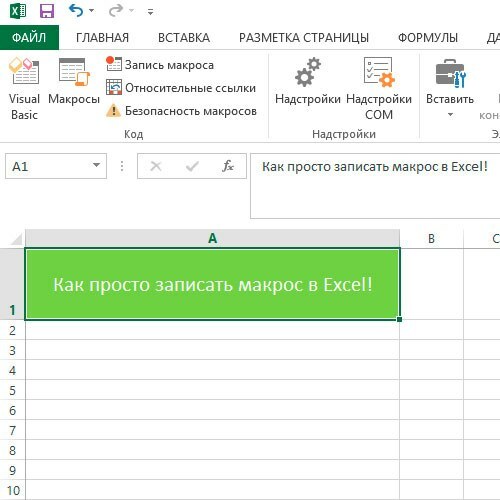 Cell A1 displays the text "How easy it is to record a macro in Excel! ", formatted according to your sample. If you need to text created in any selected cursor to the cell before recording, click on "Relative links" in the menu "Macros". To edit or delete a macro, select it and click on "Change or Remove". To change the macro code editor will open (it also can be called Alt + F11). To edit a macro, you need to know the programming language Visual Basic for Applications (VBA). If you choose to save the macro in the current workbook, you will need to save it in the format .xlsm (Excel workbook with macro support). If you want to use the macros and study them in detail, you will be more convenient to work with the developer dashboard. It can be plugged into the Excel options tab of the "Customize ribbon". Actions that executes a macro cannot be undone. Before running it, create a copy of the document. In Excel 2003 to record the macro go to the tools menu and select "Macro." You can record it to pattern a new document or in the current workbook. If the macro does not start, check the security settings. To do this, in Excel 2003, go to the options window (Options – Security – macro Security), and select medium or low security level. In Excel 2007, 2010, 2013, you must select "Enable all macros" (Options – trust Center – trust center Settings security – Settings macro). Do not open unknown Excel files downloaded from the Internet or received by e-mail, if you set the option to automatically run a macro or low level of security. Use the Excel help if you have any difficulties. To open it, click on the question mark in the upper right corner of the window, record a macro.